John Kirriemuir has put out a new call for contributions to a tenth Virtual World Watch "snapshot report" on the use of virtual worlds in education in the UK and, this time, in Ireland too. His deadline for submissions is November 14 2011. John Kirriemuir has issued a request for updated information for his his eighth Virtual World Watch "snapshot" survey of the use of virtual worlds in UK Higher and Further Education. Previous survey reports can be found on the VWW site. For further information about the sort of information John is after, see his post. He would like responses by the end of February 2010. View more presentations from Virtual World Watch. The slides from the other presentations from the wn4vw meeting (including a video of the opening presentation by Ralph Schroeder) are also available here, and you can find an archive of tagged Twitter posts from the day here. I enjoyed the meeting (even if I'm not sure we really arrived at many concrete answers to the question of "where next? "), but it also felt quite sad. It marked the end of the projects Eduserv funded in 2007 on the use of virtual worlds in education. That grants call was the first one I was involved with after joining Eduserv in 2006, and although it was an area that was completely new to me, the response we got, both in terms of the number of proposals and their quality, seemed very exciting. And I still look back on the 2007 Symposium as one of the most successful (if rather nerve-wracking at the time!) events I've been involved in. As things worked out, I wasn't able to follow the progress of the projects as closely as I'd have liked, but the recent meeting reminded me again of the strong sense of community that seems to have built up amongst researchers, learning technologists and educators working in this area, which seems to have outlived particular projects and programmes. Of course we only funded a handful of projects, and other funding agencies helped develop that community too (I'm thinking particularly of JISC with its Open Habitat project, and the EU MUVEnation project), but it's something I'm pleased we were able to contribute to in a small way. Plenty of pixels have been spilled on the subject of where you should be headed: to single out one resource at random, Microsoft presented a good paper ("On Designing and Deploying Internet-Scale Services" [PDF]) with no less than 71 distinct recommendations. Most of them are good ("Use production data to find problems"); few are cheap ("Document all conceivable component failure modes and combinations thereof"). Some of the paper's key overarching principles: make sure all your code assumes that any component can be in any failure state at any time, version all interfaces such that they can safely communicate with newer and older modules, practice a high degree of automated fault recovery, auto-provision all resources. This is wonderful advice for very large projects, but herein lies a trap for smaller ones: the belief that you can "do it right the first time." (Or, in the young-but-growing scenario, "do it right the second time.") This unlikely to be true in the real world, so successful scaling depends on adapting your technology as the system grows. The final report from the Online Learning In Virtual Environments with SLOODLE project, led by Dan Livingston of the University of the West of Scotland, is now available. SLOODLE was one of the Second Life projects that we funded back in 2007, following a call for proposals in November 2006. Seems like a long time ago now! Reading the report, it is clear that the project became as much about building a community of SLOODLE users as it was about developing some open source software - which, of course, that is how all good open source projects should be, but it doesn't always work out like that. In this case however, I think the project has been very successful and the numbers on page 4 of the report give some evidence of that. I must admit that I have always had a nagging doubt about the sense of bringing together the kind of semi-formalised learning environment that is typical of VLEs such as Moodle with the, shall we say anarchic(? ), less structured learning opportunities presented by virtual worlds in general and Second Life in particular. To a certain extent I think the project mitigated this by developing a wide-ranging set of tools, some of which are tightly integrated with Moodle and some of which are stand-alone. Whatever... one of the things that I really like about the report is the use of User Stories towards the end. It's clear is that this stuff works for people. Although the Eduserv project has now come to an end, SLOODLE continues to keep me busy – with regular conference and workshop presentations in both physical and virtual form. Community support and development remains as important today as it was, and can now be even more challenging – with SLOODLE tools now available on multiple virtual world platforms, and with the approach of large scale installations on university faculty and central Virtual Learning Environments. Dan, along with representatives of all the other Second Life/Virtual World projects we funded 2 years ago, will be speaking at our Where next for virtual worlds in UK higher and further education? event at the London Knowledge Lab next year (now sold out I'm afraid). How are you using virtual worlds (e.g. Second Life, OpenSim, Metaplace, OLIVE, Active Worlds, Playstation Home, Blue Mars, Twinity, Wonderland) in teaching, learning or research? Why you are using a virtual world. If teaching using a virtual world, how it fits into your curriculum. Any evaluation of the experience of using the virtual world. Will you do it again next year? Why (or why not)? Please send any response to John, by Tuesday 10 November 2009. For further information, see the post on the Virtual World Watch weblog. A new snapshot report is available from the Virtual World Watch project (funded by us), Choosing virtual worlds for use in teaching and learning in UK higher education, this one looking specifically at which virtual world platforms are being chosen by practitioners in UK universities and asking them why they made that choice. Second Life and OpenSim were mentioned or used by most respondents. It is clear from the report that carrying out a full evaluation of the available options is not a trivial undertaking, especially given the rate of change of technology in this area, leading to a situation in which some universities are defaulting to the two most obvious choices whilst others are in danger of replicating evaluation work already undertaken by others. The report calls for more rapid sharing of the findings of evaluation work being undertaken across the sector, both so that the community as a whole is better informed and so that there is less danger of duplicated effort. The final report from the Theatron 3 project is now available. Theatron 3 was one of the projects that we funded under our 'virtual world' grants call in 2007 - seems like a long time ago now! The project's objectives were twofold: firstly, to construct replicas of 20 historic theatres in the virtual world of Second Life (led by the Kings Visualisation Lab, King’s College London) and, secondly, to use those theatres as the basis for various sub-projects investigating the pedagogical value of 3D virtual worlds (led by the HEA English Subject Centre and HEA Subject Centre for Dance, Drama and Music). Second Life is a suitable environment for creating accurate and complex structures and embedding related pedagogical content. Build times can be greatly reduced through effective workflow plans. During the lifetime of the project, Second Life was too unreliable and presented too many barriers to institutions for full testing pedagogically. It is an appropriate medium for educational innovators, but early adopters will find that there are still too many issues for incorporating it into their practice. Immersive virtual worlds as a medium present many challenges to students, particularly due to cultural attitudes and the absence of embodiment experienced by some students. The time required to invest in learning to use the environments also is a barrier to adoption. For these reasons, it may always be problematic to make the use of immersive virtual worlds mandatory for students. As a medium for studying and communicating, Second Life presents many opportunities. As a performance medium it is limited when attempting to place existing, real life performance in a different medium, but has much potential when used to explore new forms of expression. The introduction of Second Life at institution often reveals many weaknesses in those institutions’ technical and service infrastructure. These inadequacies need to be resolved before widespread adoption of these technologies can occur. Immersive virtual worlds are a relatively new technology in education, and there was little understanding of the barriers to implementation within an institution and their most appropriate application to learning when the project started. Second Life itself needed much development in terms of reliability. In the intervening two years, there have been many steps forward in understanding its application to education. The technological goals of the project were well timed in this development cycle, but in retrospect the pedagogical aims were set too early, before the capabilities and limitations of the medium were sufficiently understood. However, the lessons learned pedagogically from Theatron will be invaluable in informing future practice. We think virtual worlds are here to stay and are getting ready to set up residence within them. We have a number of projects in progress and in prospect, primarily in Roman buildings and housing. We are adding Noh theatre and have Noh performers in collaboration with Japanese colleagues. We are excited and also grateful that the project gave us the chance to hit the ground running and to very quickly take a lot of materials which had the potential to be incorporated into a project like this and it's given us a real head start. It's put us somewhere towards the front of the pack and that’s a very good place to be. This is very gratifying. We always took the view that Second Life was not necessarily an end in itself. Rather that its use in highly innovative and experimental ways could provide a stepping stone to greater understanding and, potentially, to other things. 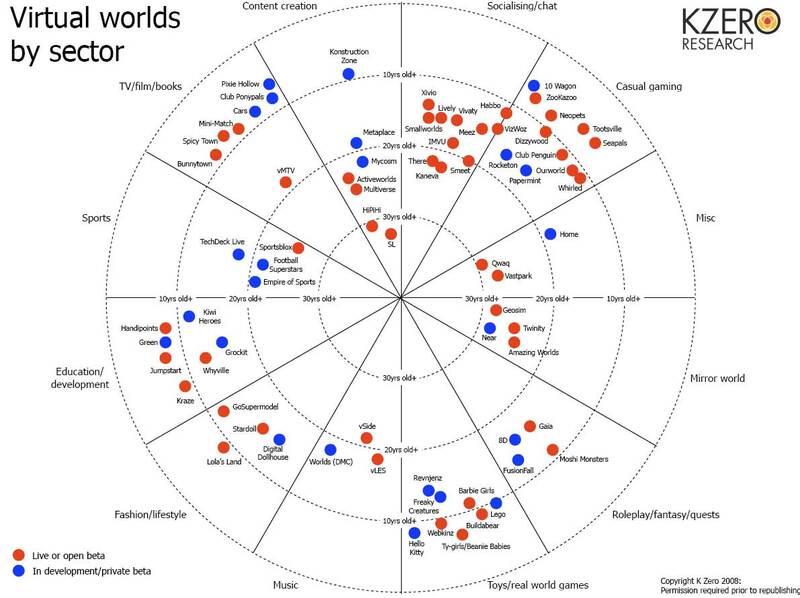 Yesterday, John Kirriemuir announced the publication by the Virtual World Watch project of a new issue of the "snapshot" survey reports he has been collating covering the use of virtual worlds in UK higher and further educational institutions. In terms of subject areas, the health and medical science sector appears to be developing a high profile in terms of its use of virtual worlds. I've noticed this from my own fairly cursory tracking of activity via mailing lists and weblogs. I was slightly surprised that some of this functionality (simulations etc) isn't covered by existing software applications, but there seems to be a gap which - in some cases at least - is being addressed through the use of virtual worlds. Although some technical challenges remain, in comparison with previous surveys, reports of technical obstacles to the use of virtual worlds software are diminishing. John attributes this to the dual influence of growing institutional support in some cases and unsupported individuals abandoning their efforts in others. My own occasional experience of using Second Life (which John notes remains "the virtual world of choice" in UK universities and colleges) has been that the platform seems vastly more stable than it was a couple of years ago when John embarked on these surveys - though ironically last weekend saw one of the most widespread and prolonged disruptions that I can recall in a long time. As a footnote, I'd highlight John's point that for the next survey he is placing more emphasis on gathering information in-world, both in Second Life and in other virtual worlds. It'll be interesting to see how well this works out, as I have to admit I find the in-world discovery and communication tools somewhat limited, and I find myself relying heavily on Web-based sources (weblogs, microblogging services, Flickr, YouTube etc) to find resources of interest (and get rather frustrated when I come across interesting in-world resources that aren't promoted well on the Web!). Anyway, as with previous installments, the report provides a large amount of detail and insights into what UK educators are doing in virtual worlds and what they are saying about their experiences. 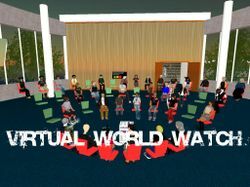 Over at the Foundation-funded Virtual World Watch project, John Kirriemuir has issued a request for updated information on UK university and college activity in virtual worlds, to provide the basis of a fifth "snapshot" report, which he anticipates making available in late January 2009. This time the questionnaire is explicitly extended to look beyond the use of the Second Life virtual world and to cover other virtual worlds too. It has also been "slimmed down" to a relatively small number of "open-ended" questions. John is running to quite a tight deadline and would like responses by Tuesday 6 January 2009. The previous snapshot reports have been well received as a current source of information, so if you have activity to report on which you'd like to see included, please take a break from the "Only Fools & Horses" repeats on Boxing Day, and have a look at John's questionnaire. Further details available from Virtual World Watch. I don't suppose that the title of this post comes close to meaning anything in reality! What it means in the very personal virtual world of InsideMyHead is, "I didn't go to the ReLIVE conference at the OU last week but I wish I had" :-). Why? Because it looks to have been a great success. Certainly if Roo Reynold's excellent final keynote, a summing up of what happened over the two days, is anything to go by. Having watched Roo's summing up, I tweeted that every conference needs one of these kinds of closing talks - particularly so where you are trying to amplify the event to people who are not attending in person. Cliff Lynch often performs a very effective similar function at digital library events. InsideMyHead didn't feature of course, not least because the orientation experience is so poor that absolutely no-one makes it through :-). No surprises that, based on the little that I saw, it looks like Second Life predominated. Despite a couple of recent calls to knock our obsession(?) with Second Life on the head (here and here), it remains (quite rightly in my humble opinion) the primary focus of our attention as far as the use of MUVEs to support learning is concerned. There is only one point at which I take mild exception to Roo's talk. Towards the end he shows an image of the in-world venue that the OU had created for the event and says something like, "there was a virtual backchannel for this event... but this wasn't it", referring instead to the widespread use of Twitter made by conference delegates. Well, I can't argue with that - I wasn't there after all. What I would say though is that, as a partial remote attendee, I would have much preferred for the talks to have been streamed in-world (rather than on the Web) so that those of us wanting to take part remotely could have used in-world chat as our own back-channel. Twitter probably worked very well as the back-channel for those delegates "in the room" (though I have a strong personal dislike for the use of Twitter as a live-blogging channel because it lacks any sensible filtering mechanism and there is wittering (sorry, I mean twittering) that I simply do not want to listen to in large volumes :-). Of course, Second Life wouldn't have worked well as a back-channel for those people in the room, not least since having lots of people trying to run Second Life over a wireless network is pretty much doomed to failure, but also because if you are immersed in a RL conference, then trying also to become immersed in a virtual world probably isn't very helpful. So there's a problem... Second Life would have worked better (IMHO) for those of who were remote but Twitter (or something similar) worked better for those in the room. What we needed was some kind of bridge between the two - allowing conversations to happen across all the participants. This wouldn't be hard to do technically (there are a number of Twitter repeaters available in Second Life, including one that I built some time ago) but there are probably organisational and cultural issues to address. Anyway... this is more "thinking out loud" than complaining or anything. My gut feeling is that hybrid physical/virtual meetings are going to feature significantly in our future and that thinking about how best to facilitate them is best done sooner rather than later. In some ways it seems silly to highlight individual TEDTalks - every one that I've ever watched has been well worth the time taken to watch it - but David Perry's Will videogames become better than life? is more directly relevant to this blog than many so I'll give it a quick plug. Interesting for its historical perspective on the rise of the videogame format, its vision of the future, and its glimpse into the mindset of game-players, this video is a great watch. The emphasis is not really on "will videogame graphics and audio continue to become more and more life like?" (answer, "yes, of course") but on "will videogames ever touch us emotionally in the way books and movies do?". Can a videogame make us cry? Fundamentally, how do virtual experiences change us as people? In the context of 3-D virtual worlds - and everything in this talk, and the two videos shown as part of it, can be applied to virtual worlds as much as to games - emotion, purpose, meaning, understanding, feeling... these are the important factors that determine how immersive the virtual experience is. Ultimately, these factors determine how much the machine becomes part of us and we become part of the machine. "... the magic to come - where is that going to come from? Is it going to come from the best [film] directors in the world as we probably thought it would? I don't think so. I think it's going to come from the children who are growing up now that aren't stuck with all the stuff that we remember from the past. They're going to do it their way..."
The Virtual World Watch project was officially launched today - I'm not quite sure what that means but anyway... the project will continue the series of snapshots that we have funded over the last year or so but will broaden in scope to include usage of virtual environments other than Second Life. The work will continue to be undertaken by John Kirriemuir (SL: Silversprite Helsinki). Our series of snapshots looking at the uptake of Second Life within UK HE and FE continue, now in the slightly revised guise of Virtual World Watch. The intention is to broaden the scope of the work, in particular looking at the use of alternatives to Second Life such as OpenSim and Project Wonderland. Are you in a UK university or college and developing, teaching or learning in a virtual world such as Second Life? VWW would love to hear about it. This is also a way of publicising to the world - and especially to academics, developers and teachers using virtual worlds - about what you are doing. The BBC have a short article about digital preservation entitled, Writing the history of virtual worlds. Virtual worlds and other gaming environments, being highly dynamic in nature, bring with them special considerations in terms of long term preservation and the article describes an approach being used at the University of Texas involving interviews and story telling with both makers and users. Belatedly, I also note that last week's Wallenburg Summer Institute at Standford University in the US included a workshop entitled Preserving Knowledge in Virtual Worlds. Stanford are (or were?) partners in another virtual world preservation project, Preserving Virtual Worlds, led by Jerome McDonnough at the University of Illinois (someone who is probably better known by many readers as the technical architect of METS), which was funded by the Library of Congress a year or so ago. At the risk of making a gross generalisation, it looks like the Texas work is attempting to preserve the 'experience' of virtual worlds, whereas the Illinois work has been focusing more on the content. It strikes me that virtual worlds such as Second Life that are surrounded by a very significant level of blogging, image taking, video making and podcasting activity are being preserved indirectly (in some sense at least) through the preservation of that secondary material (I'm making the assumption here, possibly wrongly, that much of that associated material is making its way into the Internet Archive in one form or another)? I attended the first day of the Virtual Policy '08 conference earlier this week to take part in a panel on Education, Learning and Virtual Spaces. My co-panelists were Andrew Burn (Centre for the Study of Children, Youth and Media Institute of Education, University of London)and Anna Peachey (The Open University). Unfortunately I couldn't stay at the meeting very long because of other commitments but it looked like an interesting event, with a slightly different kind of audience than one usually finds at these kinds of things. With hindsight, I wish I'd registered properly and attended the whole thing. The conference was organised by the Virtual Policy Network and held at the Department of Business, Enterprise & Regulatory Reform (BERR) in London, with New York Law School providing program support. What are people saying about education in virtual worlds that, perhaps, they shouldn't? What works - and where is there evidence to show that virtual worlds offer something new or better to educators and learners? What needs fixing - from access issues to firewalls, what do we need to know, make or circumvent to make virtual world pedagogy viable? FWIW, I think this is an interesting set of questions and it'd be good to hear other people's answers to them. The remainder of this post summarises what I had to say in response. Given the limited time available, I tried to limit myself to 4 bullet points about each of the 3 questions (though I crept over slightly with the last one). So, what are people saying about the use of virtual worlds in education that I don't like? Firstly, I hate the whole "Google generation" thing (which is probably a sign of my age!). I dislike it both in the general case but also specifically around virtual worlds - for me, being a 'digital native' is an attitude, not an age-based demographic. When we were receiving bids for our virtual worlds grant call last year, several proposals said things like: "virtual worlds are where young people are, so educators need to be there as well". Unfortunately, the Second Life demographics don't bear this out and it's not logical in any case. As educators, we should be using virtual worlds if it makes educational sense to use virtual worlds (or if we think it might make sense and we therefore need to experiment to find out for sure). Using them simply because that's where other people appear to be isn't a good enough reason on its own. Related to this is the tendency for all of us to focus on Second Life specifically rather than virtual worlds more generically. A comment on my ArtsPlace SL post about the panel suggests that I didn't make this point very clearly. What I was trying to say is that experimenting with and building stuff in Second Life is absolutely fine (and very appropriate given that Second Life is by far the best mutli-user virtual environment for use in education at the moment - as I said at our symposium a year ago, in branding terms "Second Life is the Hoover of virtual worlds" and will probably remain so for some time to come). However, it is only fine provided we try to use our experiences to learn pedagogical and other lessons that can be applied more generally to other educational virtual worlds as and when they become available. As educators, we should be using Second Life for educational purposes because it is the best virtual world offering at the moment, not because it is Second Life per se. My third point was that I sense a growing tendency by educators towards wanting to build rather more 'closed' virtual worlds than those offered by Second Life (and others) currently. By this I mean closed to people outside their institution - a virtual world intranet if you like. There are some good reasons for wanting to consider this as an option - a fear of the open, fairly permissive, and therefore potentially disruptive nature of Second Life for example, or a desire to have closer control over the server hardware on which the virtual world runs. But there is a significant danger as well - that we lose the collaborative, social network effects of working within a bigger and open environment. Finally, I made the point that Second Life often gets associated with the whole Web 2.0 phenomenon. Whilst there are some similarities, notably around user-generated content for example, there are also significant differences and we need to be careful not to get mixed up by our use of simplistic labels. Unfortunately, my sense is that there is still little methodical evidence around how, or indeed whether, virtual worlds have an impact on learning. There are lots of compelling stories from teachers and lecturers in this area. But these are somewhat anecdotal, and in any case, they come from people who are leaders in their field and who could probably teach successfully in the middle of a desert. In our snapshot surveys of the uptake of Second Life within UK higher and further education we have tried asking questions about impact (as opposed to simply asking about activity). But questions like, "how do you propose to measure the impact of your use of Second Life?" tend to result in more questions, such as "what do you mean by impact? ", rather than direct answers. I started with the mundane - virtual worlds need to somehow stop being as far ahead of the average desktop hardware capability as they are now. This is not just an issue for institutions, many of whose teaching labs will not have kit up to the job I suspect. It's also a problem in terms of inclusion (or exclusion depending on how you look at it) more generally. This issue will resolve itself naturally I guess, but in the meantime those who build virtual world technologies need to make things as painless as possible for those lower down the hardware spectrum. That needs to be done carefully. Virtual worlds like Google Lively - which is much lighter-weight in terms of its hardware requirements - isn't really a virtual world at all. It's a chat room with knobs on, IMHO. We need to understand the pedagogic possibilities offered by virtual worlds rather better than we do now and be able to demonstrate, i.e. measure, the impact that they have on learning outcomes. Without this, it seems to me that the use of virtual worlds will never get fully embedded into our collective learning and teaching strategies. There are similarities, and probably lessons, here with the way the Web got adopted into learning. At the moment we are largely in that bottom-up phase of individuals and small groups experimenting. The integration of the Web with virtual worlds is very important, particularly in the context of education, but is rather poorly handled currently, particularly if we think specifically about Second Life for a moment. Linden Lab are taking steps in the right direction but we are nowhere near there yet. Textual documents will always be a fundamental resource within learning and teaching and the ways in which text can be handled in Second Life are currently rather poor, whether it is being used as a stand-alone resource or, more importantly, as a something underpinning a collaborative exercise. Finally, we need to be able to manage access to our virtual teaching spaces rather better than we can currently. As chair of governors at a primary school in Bath I drew an analogy here with what has happened in schools. Until recently, we were very proud at our school about the fact that we were able to keep our playing fields and other areas open to the community. But like many schools, and in our case as the direct result of a merger between two schools, we finally succumbed to pressure to close the school grounds. Clearly, there are good child protection reasons for doing this and I'm not overly bemoaning the fact that we had to do it. But suddenly our school went from being an open space to being a walled garden, surrounded by heavy fencing, with overtones of a prison camp. It seems to me that this is a great shame - particularly in light of a government agenda that encourages the opening up of school space for use by the community. What we need to avoid, it seems to me, is our virtual spaces going the same way and the ability to have fine-grained access control coupled with good management tools feels like an important part of that. I snuck in a final point towards the end of my talk because I was surprised that no-one else had mentioned voice. It seems to me that there is a tension in our use of virtual worlds between 'chat' and 'voice' as a means of communication. Voice is clearly more expressive, more immediate and more interactive and therefore seems more appropriate in the context of teaching and learning. Unfortunately, it also has a tendency to destroy the immersive quality of virtual worlds. Does that matter in the context of education? I don't know... but I think it might. Those were my responses... I'm not totally happy with them but it was the best I could do in the time available. I'd be interested to hear people's responses to them, or other thoughts in this area.